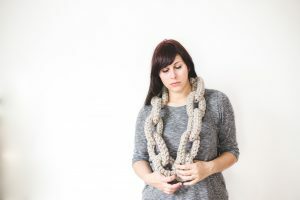 Next up on our meet the makers series we have Martina of La Martiz Handmade. I work mainly with yarn. 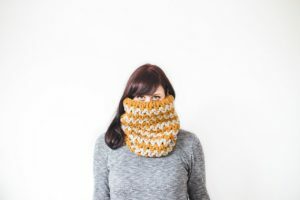 Creating chunky, cosy and warm scarves to wear during the winter! I am actually Italian, from a little town between Venice and the Dolomite and my boyfriend, a professional violinist and phd student, asked me one day if I wanted to move to the Uk where he could finally do his Phd. I looked at him and said -hell, yeah.- So I quit my job, left the little home where we were living and got an a British Airways flight in a cold day of January 2014, just in time to get familiar to the amazing welsh weather! 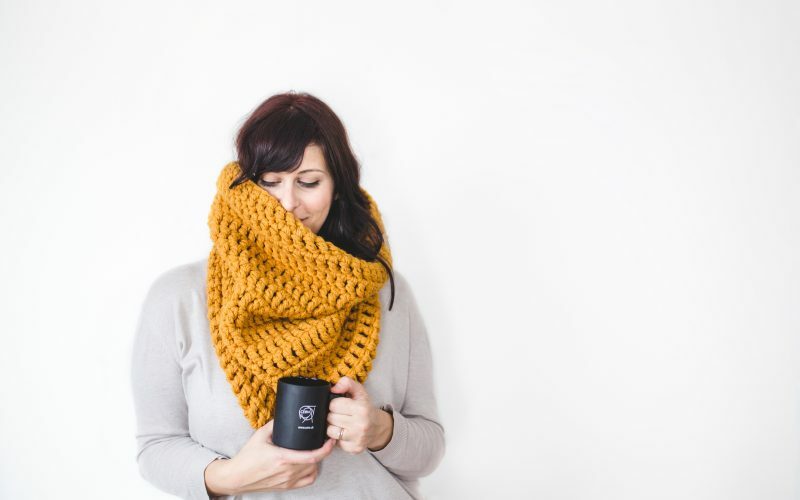 That is the main inspiration for what I do: super thick scarves that protect you from a super wind and keeps you super warm! Admitting I was ready to get married. That’s a good one. I don’t need to pass the law to be happy…if there is a law then it would mean somebody would be upset by my behaviour so nah, I am ok thanks. No I have seen the question about pineapple on pizza. Yes: I would beat anyone who puts pineapples on pizza. I’m not telling you but there a lot of wine involved. You can find Martina on Etsy at any time, and of course she will be with us at Tramshed on the 4th of December with her amazing makes! Next Post:Workshops are booking up fast! Make sure you don’t miss out!